Families and outdoor enthusiasts will find no better way to experience nature and proximity to adventure than by staying in an RV, travel trailer, or tent in one of the nearby Winter Park Colorado Campgrounds. In addition to nearby National Forest and primitive wilderness campsites, you'll find that Winter Park Colorado Camping is easy at these RV parks and private campgrounds. Enjoy amenities like electric hook-ups, showers, laundry, sewage dumps, great location, and much more on these well kept properties in Winter Park CO.
Travel around Winter Park, Fraser and the National Parks of Colorado in your own RV! 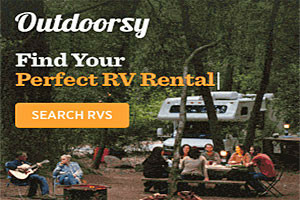 Rent locally-owned affordable RVs, trailers & campers, perfect for your next adventure! White water rafting May through August on Exciting Clear Creek. All year scenic mountain ATV Tours. Add camping to any tour for $5 per person.